Bank customers weary of using ATMs for fear they’ve been compromised by ne’er-do-wells using skimmers to get their hands on card numbers have a new option. That is, if they bank with JPMorgan Chase, as the company is rolling out new cash machines that are not only cardless, but will let you take out money in a wider variety of denominations. The Associated Press reports that Chase will install new ATMs later this year that allow customers to withdraw cash or complete other tasks using their cellphones instead of their bank cards. The new ATMS, which will come in the form of entirely new machines and upgrades to some current devices, utilize a system that allow customers to perform tasks by inputting a code found on their Chase mobile app. Customers will be able to withdraw up to $3,000, several times more than the current limit on most ATMs. Additionally, the cash could come in multiple denominations, unlike the majority of machines that limit users to withdrawals in $20 increments. The new machines will also allow customers to cash checks, and make payments on their Chase credit cards and/or mortgage bills. A spokesperson for the company says that in the future, additional upgrades to the machines will enable customers to use their phone’s near-field wireless communication feature to access their accounts, similar to Apple Pay and Samsung Pay capabilities. 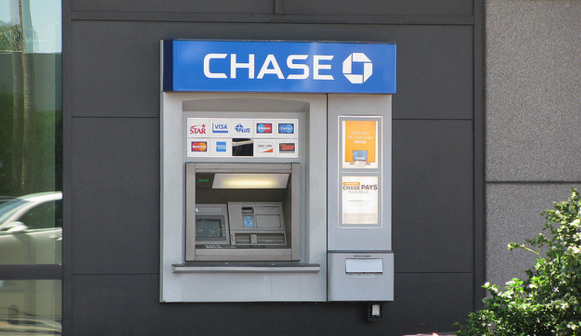 The implementation of the new machines is an ongoing effort in which Chase is working to replace tellers, as ATMs conduct more transactions than face-to-face bankers each month. Still, the Chase spokesperson cautioned that the bank isn’t getting rid of tellers all together. Instead, they’ll continue to handle specialized customer transactions.